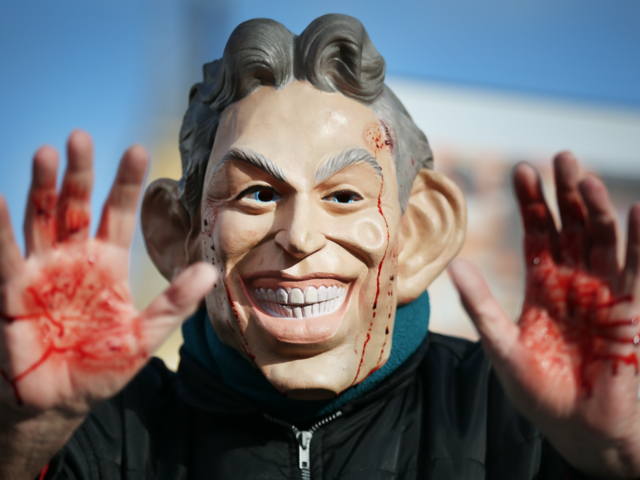 The much-delayed Chilcot enquiry into the Iraq war will be “absolutely brutal” in its conclusions and deliver serious “damage to [the] reputations” of former Prime Minister Tony Blair and his Labour party former Foreign Secretary Jack Straw. The 2.6 million-word report will eventually be released just two weeks after Britain’s European Union (EU) referendum. Former Prime Minister Gordon Brown set up the inquiry in June 2009, and over £10 million of tax payer cash has been spent on the process. Mr. Blair “won’t be let off the hook”, as the extensive report is expected to reveal how he pledged support for an impending invasion more than a year before the so-call “dodgy dossier” which claimed – falsely – that Saddam Hussain had weapons of mass destruction that could be activated in just 45 minutes. Senior sources who have had contact with the report’s authors also revealed to the Sunday Times that Sir Richard Dearlove, the former head of MI6, will be heavily criticised for putting a “gloss” on the intelligence which supported the dodgy dossier. More than half of the report will be focused on the aftermath of the invasion, and the severe mismanagement of the subsequent occupation. The role of Jack Straw in particular will be singled out. The former foreign secretary is the father of the leader of the campaign to keep Britain in the European Union – Will Straw. Last year, in an interview with CNN, the Mr. Blair issued a partial apology for the disastrous war. He said: “I can say that I apologise for the fact that the intelligence I received was wrong. I also apologise for some of the mistakes in planning, and certainly, our mistake in our understanding of what would happen once you removed the regime”.